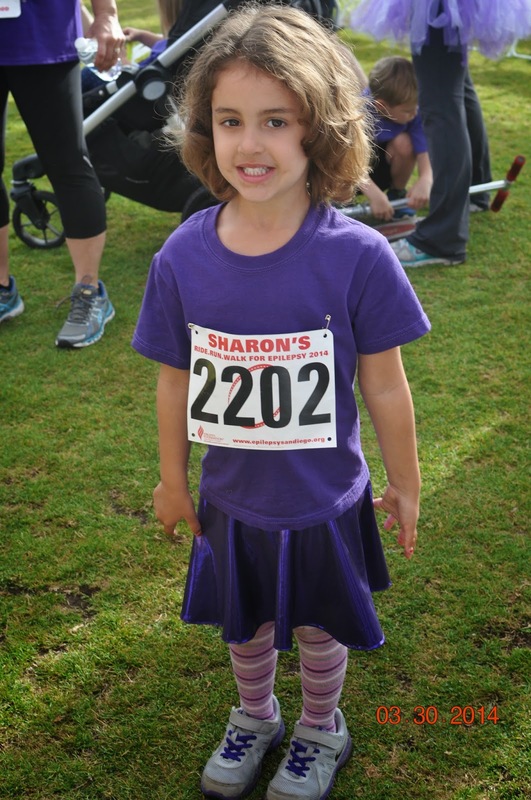 Running with SD Mom: A 5K For Epilepsy! My friends know that my pet cause is Epilepsy, specifically the Epilepsy Foundation of San Diego. 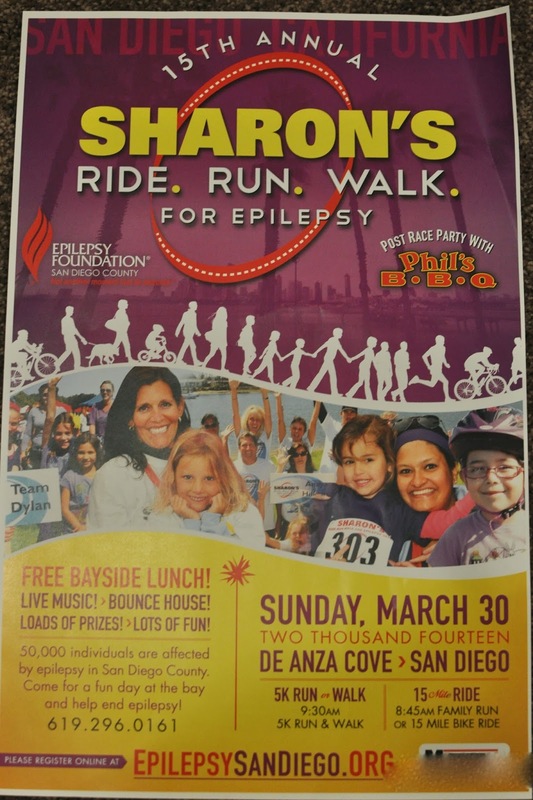 Every year, they put on the Sharon's Ride Run Walk for Epilepsy sometime in March or April. This year it was on March 30. Recognize the 2 purple clad girls on the bottom right?! As we do every year, we put together a team of family, friends and supporters and compete to see who can bring in the most money and the most people - all in the name of a good cause. This year we had 185 people and raised almost $13,000.00. I am so incredibly proud to be a part of Serena's Crusaders! This is Serena. Serena is the S in the Running with SD Mom. Ha ha! See what I did there?! Serena was diagnosed with Epilepsy when she was 18 months old. She is now 4 1/2 and thriving. She still has frequent seizures but we have a wonderful community and support system and every day feels like a blessing! We know how lucky we are! Just look at this incredible group of people who touched our hearts and our lives by just being there - in spirit or in person. Events like this teach S not to let Epilepsy define her but to make it just a part of who she is! She is kind, sassy, spunky, smart, loyal and beautiful! Hope you all join us next year! And GIVEAWAY Update: Giveaway Blog Post coming to your inbox on Thursday!